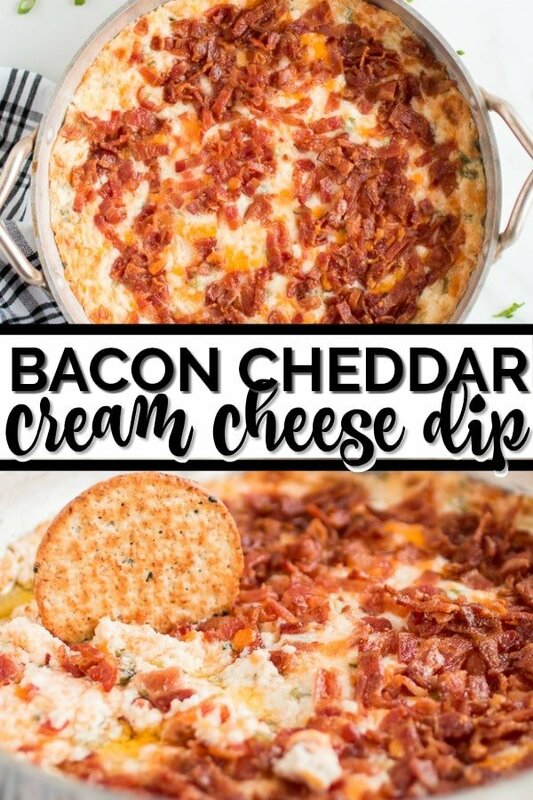 I stole this bacon cheddar cream cheese dip recipe from my sister in law. She first made this hot cream cheese dip for us last Christmas. From the time she pulled it out of the oven till the time the family’s crackers had cleaned out the bowl, I believe four minutes elapsed. It is beyond delicious. I’ve also heard it called crack dip in some families. We’ve made this cream cheese dip many times since and every time it has been a huge hit. It goes great at parties served alongside beer cheese dip and our little smokies. It’s simple, easy, fast and delicious. My sister-in-law calls this Hot and Dirty Dip. I’ve heard others call this kind of dip, Crack Dip. Whatever you call it, everyone will love it. PROMISE. 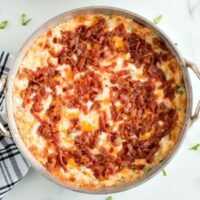 If you’re short on time, you will also love this buffalo chicken dip or this easy cheese dip recipe. I am a bona fide foodie. 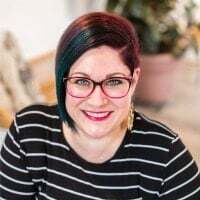 I like reading recipe books, looking at pictures of food, and making up my own creations. I love eating fresh foods and unusual combinations. I also love to prepare and share new dishes with friends. The trouble is, life is busy and it doesn’t happen as often as I’d like. So, whenever I find ways to streamline everyday tasks, I’m all for it. It ups the chance of more time for what is most important—like having friends over! 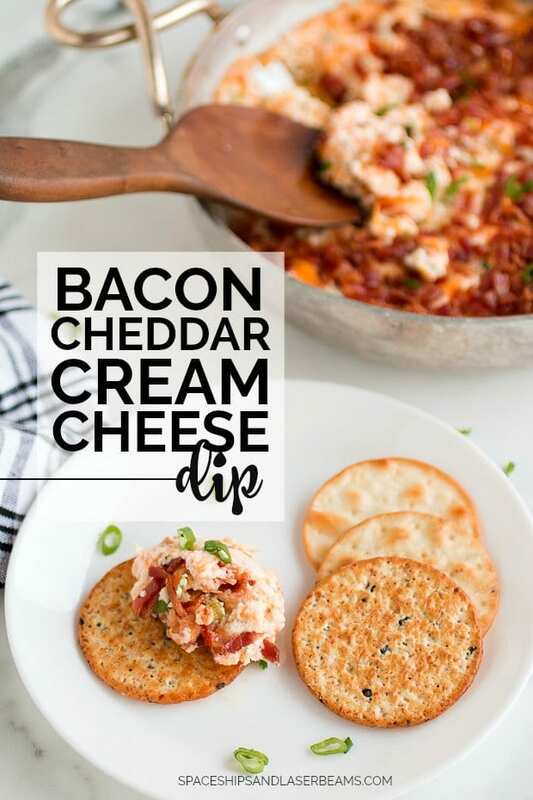 You know all those bacon cheddar cream cheese dip recipes you drool over and save to Pinterest? 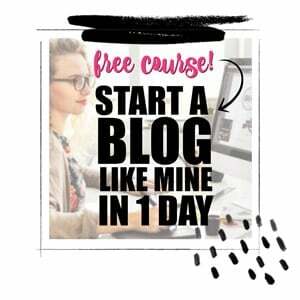 Now you can make it! This recipe is a crowd pleaser at our house, although we always call it the “hot dirty dip”. It’s one of my sis-in-law’s “famous” creations that we all crave. Hot dirty dip is great for impromptu get-togethers because it’s so quick and easy to put together. It’s also a terrific addition for hungry football fans who like to nosh their way through the game. We’ve also served this cold crab dip recipe as well as this classic spinach and artichoke dip— and our company has loved both! Add this recipe to your party arsenal — guaranteed drool-worthy! This dip is super simple. Mix all ingredients in a bowl and then spread into a pie plate. Then, top with 8 slices of crumbled bacon. Bake at 350 degrees for 20 minutes and serve with an assortment of crackers! 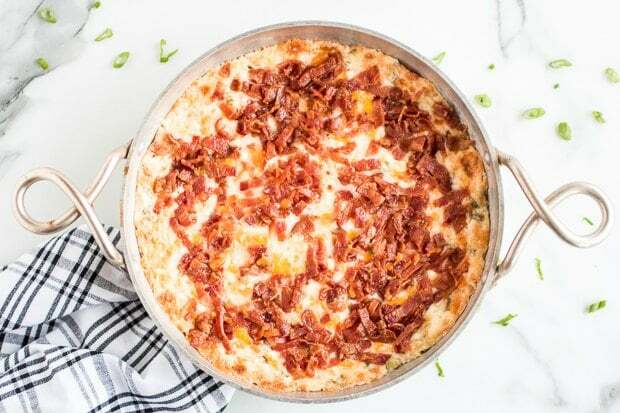 I STOLE THIS BACON CHEDDAR CREAM CHEESE DIP RECIPE FROM MY SISTER IN LAW. Top with 8 slices of crumbled bacon. 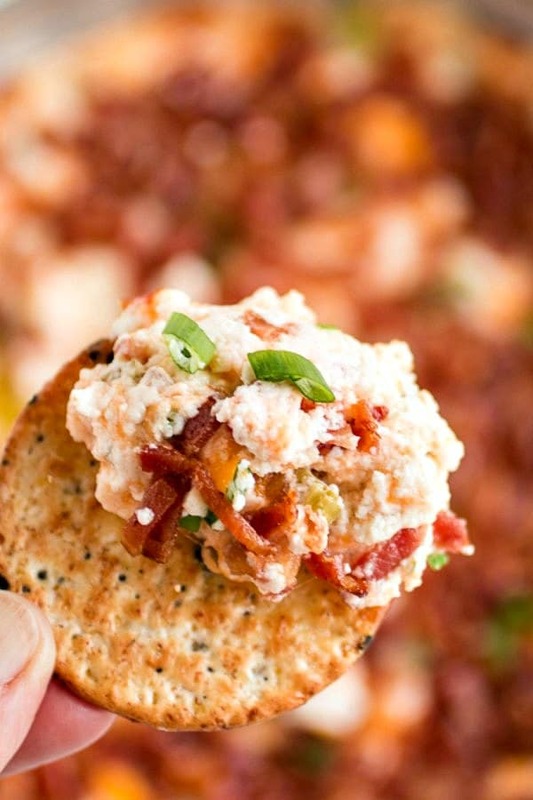 This dip is the best for game day!It is so delicious! What the heck us “old” cheddar,do you mean aged? This recipe is seriously so awesome! My husband loved to prepare this one! so delicious! Could u make this and not heat it. Must this Dip be warm when it’s eaten or can it be eaten cold? I haven’t tried it cold, but I’m sure you could. Okay I want this!! LOVE that seasoning and it’s so perfect for this dip! I can think of so many things I would dip in that! Yum! I love everything bagels, so I know this would be amazing! Thanks for the easy and simple tasting recipe!! Tried this and it was absolutely delish! Very good and Keto friendly! Can I use turkey bacon instead? Thanks! Could you substitute anything for the mayo? Is Miracle Whip an option for you? I’m not sure if you tried doing a yogurt or sour cream or something like that how it would taste and how it would change consistency. I haven’t tried anything other than mayo! Mine had a ton of oil leaking out is that normal? Hmmm, I haven’t experienced that!